Am I allowed to say bad things about a book about 9/11? 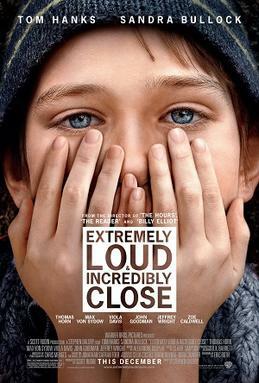 Extremely Loud and Incredibly Close isn’t actually about that ‘Worst Day,’ as 12-year-old narrator Oskar refers to it. Rather, the story is simultaneously about the aftermath of 9/11 and what came before. I adored the beginning of the book, and laughed out loud at Oskar’s internal monologue. Then the author began to weave in the story of Oskar’s grandmother and grandfather, survivors of the Dresden bombings, and slowly began to lose my attention. Oskar’s grandfather doesn’t speak, and so has ‘yes’ and ‘no’ tattooed on his hands. Oskar’s grandmother has ‘crummy eyes’. Maybe she’s going blind? Maybe not. I don’t like meandering, stream of consciousness writing. It’s enough that I have to deal with it inside my own head. Parts of the story are deeply affecting, particularly Oskar’s memories of and love for his father. I love that the author includes pictures – photos of the 9/11 falling man are heart stopping. I can’t seem to focus my response to this book. It wasn’t the 9/11 story I was dreading. It was simultaneously less and more than I expected. Other reviews call it ‘quirky,’ which isn’t an unfair description, but it’s never quirky in a precious way. Go read it. * Foer, Jonathan Safran. Extremely Loud and Incredibly Close: A Novel (Kindle Locations 90-93). Houghton Mifflin Harcourt. Kindle Edition. 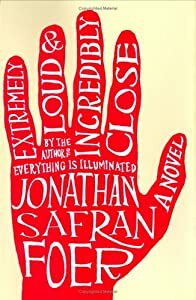 This entry was posted in 2012 books, book club, just liz, New York, NYC and tagged Dresden, entertainment, Extremely Loud Incredibly Close, Jonathan Safran Foer, literature, New York City, Oskar, Tom Hanks by Southern Girl. Bookmark the permalink.